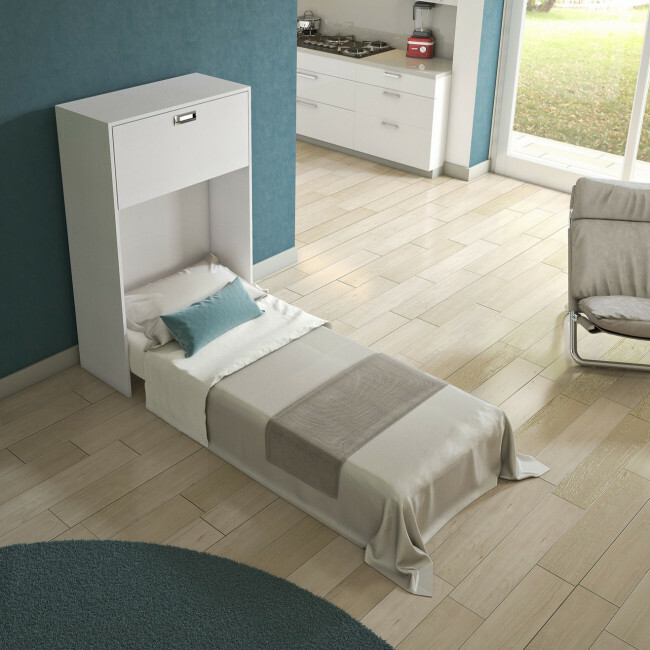 Link 539-A is a double-sided fold up single bed suitable for small houses. 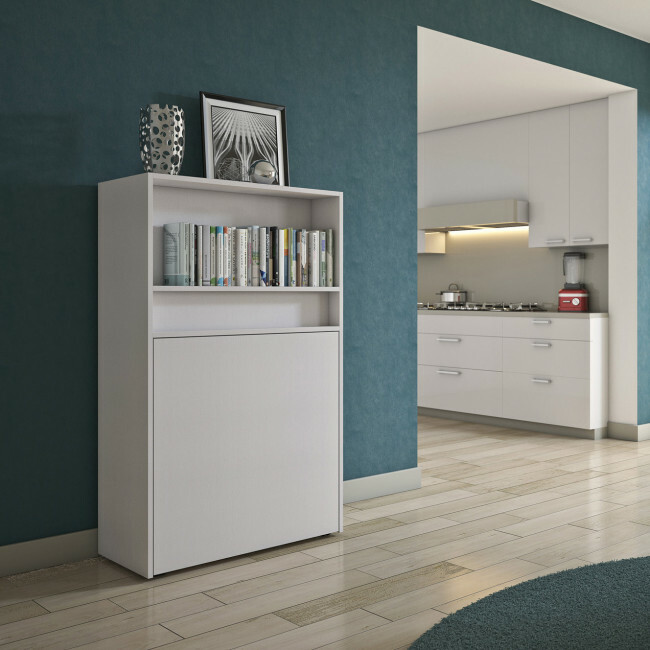 On one side it is a cabinet with a concealed bed and a compartment with drop down door to store pillows, on the other side it can be transformed into a desk or a dining table for one or two people including a shelf to store objects. The cabinet is equipped with swivel casters so you can move it around quickly and with ease. When you need to study, write, draw or eat you can lift up the cabinet front and reveal a surface supported by a metal leg. 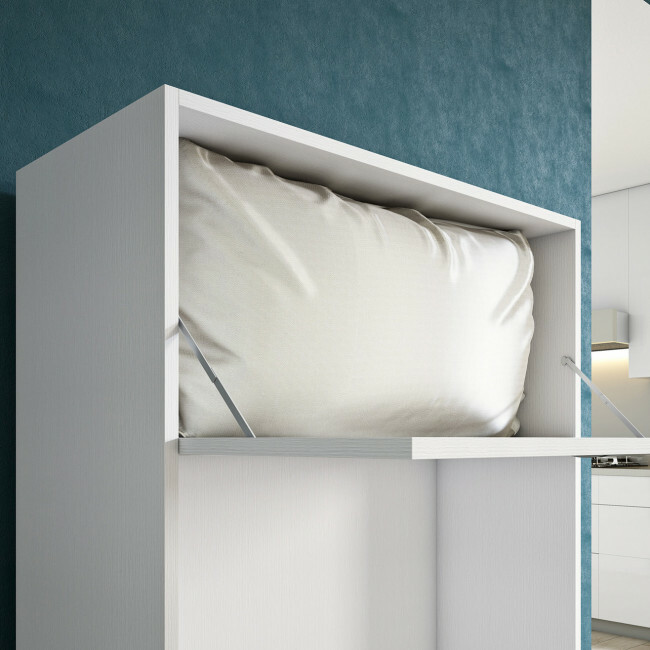 When it's time to sleep you can simply pull-out the slatted base hidden inside the cabinet to get a comfortable bed with mattress included. Thanks to its compact measurements, reduced depth and great versatility Link Bed 539-A is perfect in one-room flats, in holiday houses or in a kids bedroom. It can be placed against the living room or bedroom wall - if used often - or it can be hidden inside a storage closet, in a corridor or behind a door if used only occasionally. Use the product configurator to go through the available finishes and combinations. Link Bed 539-A is featured with swivel casters, it includes a compartment for pillows, a single slatted base and a mattress. Link Bed 539-A is a fold up single bed equipped with mattress and slatted base. 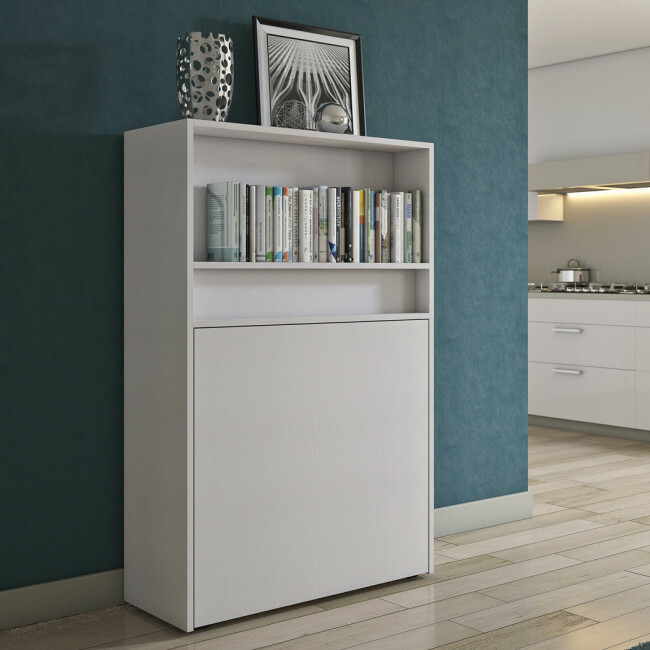 It belongs to Link collection, a modular system with columns allowing to compose bookcases, shelving systems for offices including desks, wall systems for the living room, walk-in closets and kids bedrooms furniture solutions. By visiting our shops and Partner Retailers you will receive professional assistance in creating the perfect furniture solutions for your own space.